I've created this for a challenge on Daisytrail. 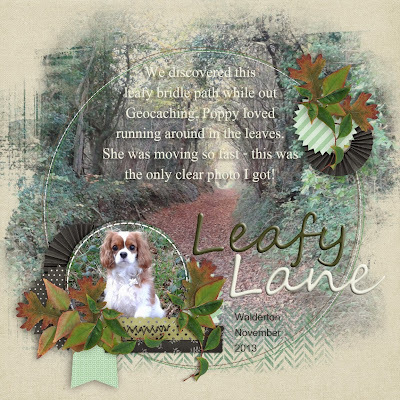 The requirements are to produce a traditional style scrapbook page featuring leaves. At the weekend, we went geocaching and came across this really pretty bridle path. The leaves were deep and crunchy and just asking to be walked through. Poppy was really funny running around and catching imaginary creatures in them! I took loads of photos, but only had my phone camera and most of them were blurry. But I love this one of her looking all manic and wide eyed lol. 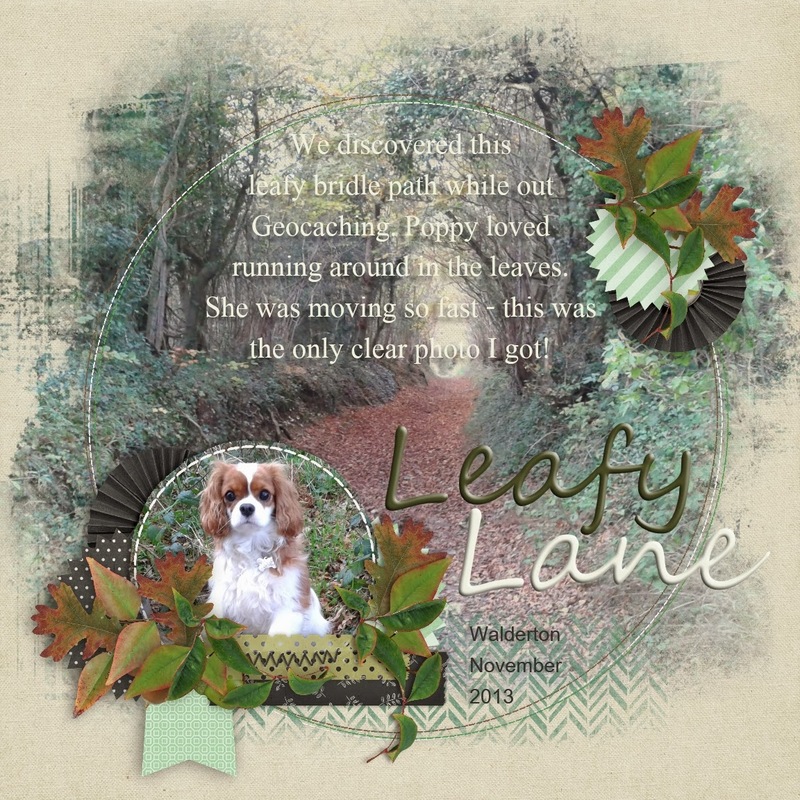 I used a kit called Remember September by Amy Wolff and the leaves are from Alvetina.